Altadan, I had hoped to get this back by Thanksgiving, but since that isn't likely to happen, I think the passaround should still be open for a 7th man (or woman). However, I did already set the order by geography. PM me your shipping info and let me see if there is a good place to fit you in. I set my pass arounds by geography as well. MauiChef always throws it off.. It wasn't too terrible. There was another west coast participant. The fact that USPS charges about the same to send things there as to continental destinations is great (although maybe not so great fort the post office). before I say anything about the knife, please allow me to express my appreciation for this forum's culture in general, and to Gastro gnome in particular for allowing us to get our hands on one of his very own. Before joining this forum I have never in my life heard of a "passaround." Such a novel idea, and I think that if there is anything good to be found in the culture of consumerism, this sort of cooperation has got to be it! 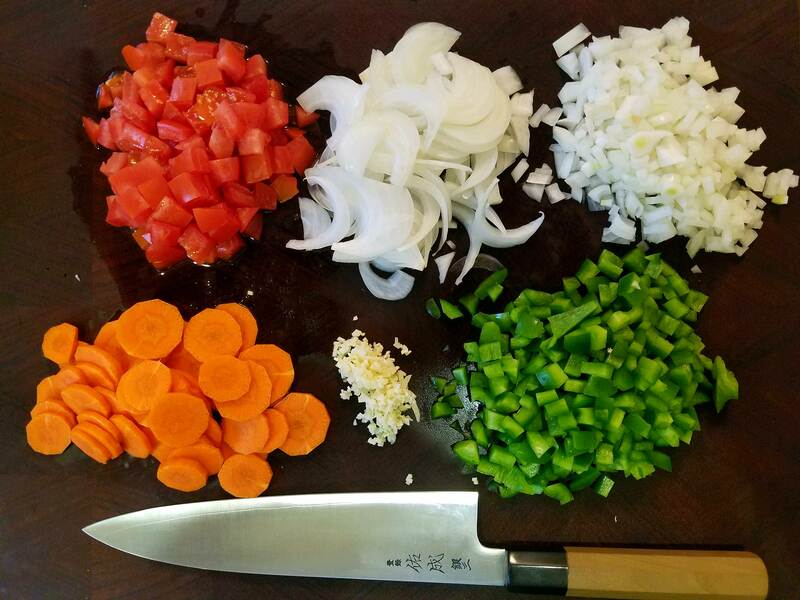 At first I was a little averse to the handle, but seeing it lie on the cutting board after use, or hanging on the magnet, I realized how truly Japanese this simple aesthetic was. This knife is simple, and clean. Though my taste leans more towards damascus patterns and other frills, I find the simplicity of the Sukenari very, very pleasing. The Skuenari took to chopping apples for my son, both peeled and unpeeled, quite nicely, though I suspect putting her through a full progression would have let out for real. 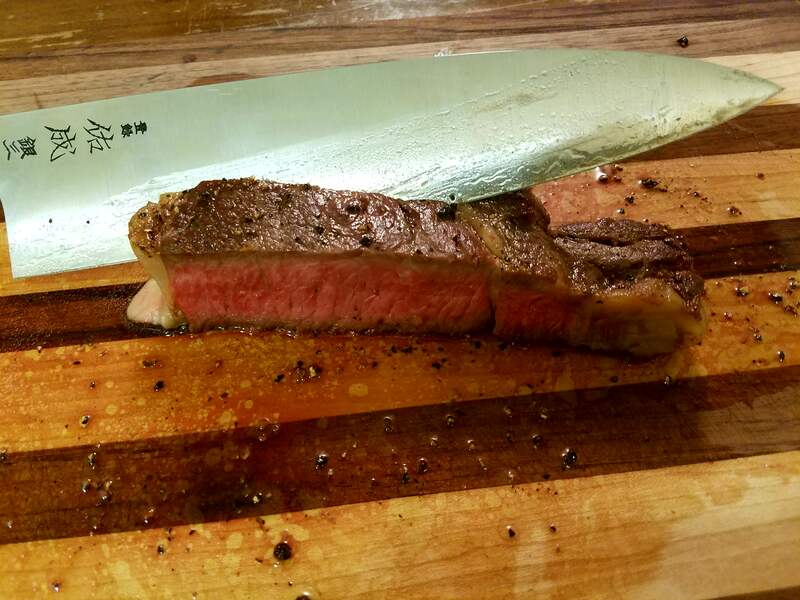 My 2yr old son doesn’t care for chopped apple (I love it), so I went on to gut the thing and peel it, all with this nimble 240 gyuto. Too easy. Tomatoes for the evening pasta sauce were no match either. In fact, they were a real pleasure to move through. The blade glides through, and doesn’t leave too many signs for having been there. The tomato just sits there, all sliced up, as if nothing happened. Horizontal cuts on the red onion could have been easier, though the tip did well on the vertical incisions. As far as Jknives on onions go, my Tanaka has an easier time, but excepting her, this Sukenari surpasses anything else I've so far held. Speaking more directly about the knife itself, I found it overall quite pleasing. It's got the simple clean aesthetics. It's got a very light handle, and on a 240 it balances forward from the pinch grip, easily lending the knife more chopping power and confidence. The blade itself is hefty in quite a few of the right places. I think the correct term around here is "workhorse" n'est pas? Being designed as it is, AND being made with stainless steel means (big+) this knife is a real no-hassle sorta pleasure. Had I known of it sooner I would have seriously considered it. Hmmm... I might even consider it as a "gift for the wife"
Food release was just alright. I don't know that I've ever experienced a knife that send the food flying off from the blade-face like you see a takeda do in CGuarin's videos... So, I've no complaints. Let me attach a video of some apple chopping (this time for my wife's thanksgiving pie), and you can judge it yourself. It's good knife, and well made, well finished. Thank you for the in-depth thoughts Dan. This should now be in the possession of Cjmeik, I believe. No, I was pleasantly surprised. After examining the rather wide edge bevels, I expected a wedge monster. Definitely more resistance than wanted but decidedly no wedging. Speaks to a really nice grind. The knife arrived in good order today. Looking forward to using it. I guess I don't know how to tell if something is gonna be a wedge monster or not, but looking down the choil I was surprised to see it thinner than some reviewers led me to beleive. I think it did very well on everything I cut. Enjoying this one. Review coming soon. There have been a couple of really good detailed reviews of this knife so I will be repeating much of what has already been said. First, thank you gastro for the opportunity to give this one a spin. I have never considered purchasing a Sukenari knife. There is just something about them that doesn't speak to me. I don't know exactly what it is, but I've never been drawn to them. I know the quality has been well documented and many people speak favorably of them, but there have always been other knives that draw my attention away when I'm ready to make a purchase. When this passaround was offered, I must admit that I was interested, but not overly excited. 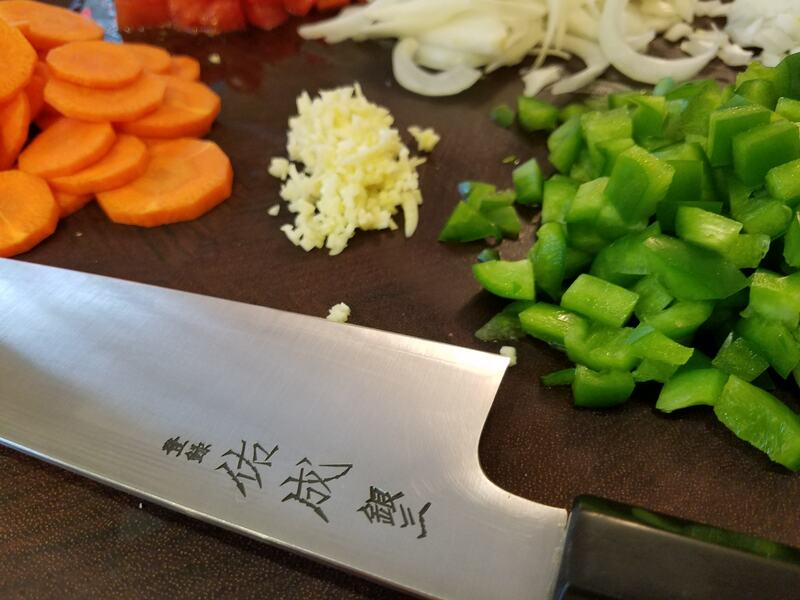 I'm glad I got on board because this knife surprised me and opened my mind to the Sukenari brand. The fit and finish is very good in general and is not very common at this price point. The knife feels good in my hand, not too heavy, but confident and natural. It feels robust and nimble at the same time. It doesn't give the impression that it needs any special treatment. It is thin enough behind the edge and it has a good balance of performance and strength. The knife arrived with an edge from cjmeik that he described as maybe needing a little more work, but I found it to be plenty good indeed. I did nothing to it before putting it on the board and found it to be well suited to the steel. I had the opportunity to cut much of the produce that I go through regularly. Onions, carrots, peppers, garlic, tomatoes, celery, and the like we're all dispatched nicely. I would not say that the knife excelled at any particular task, but I couldn't find any that it did poorly either. I did not have the chance to try any harder produce so I won't speculate on its performance in hard squash and the like. 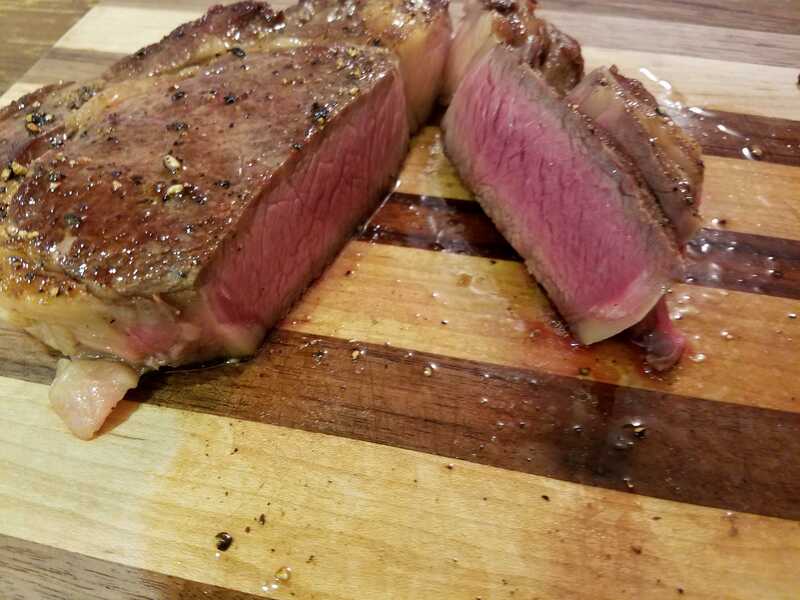 It did a fine job on cooked protein as well. The edge held up just fine with my limited use which is a testament to Chris's half assed sharpening I have not tried alot of Ginsan knives but I'm always impressed with this steel when I do. As far as the Sukenari is concerned, I found it to be one if the best all-rounder middleweights I've had the opportunity to try. The grind is a nice mix of performance and food release, not a standout for any particular task, but not a slouch either. If it were mine, I'd probably tweak the geometry a little to get a bit more performance, but I certianly would not go crazy with it. In summary, if you could only have one gyuto, needed stainless, and had a limited budget, you would be hard pressed to do better than the Sukenari Ginsan. It won't give you that "wow" moment in use, but it won't let you down either. Knife arrived today. Looking forward to using this thing. Thanks for letting me join!!! After nearly 4 months at sea, the knife returns home. It's cool to think this has been all over the country (and even to Hawaii). Thanks for taking good care of it. I think it has an even better edge than when it left. I forgot how good this feels in the hand. I do like the slightly undersized 240 size.